Weekend Option - Friday night and Saturday January 19 & 20 2018. Times TBA to the people who sign up for this option closer to the date. 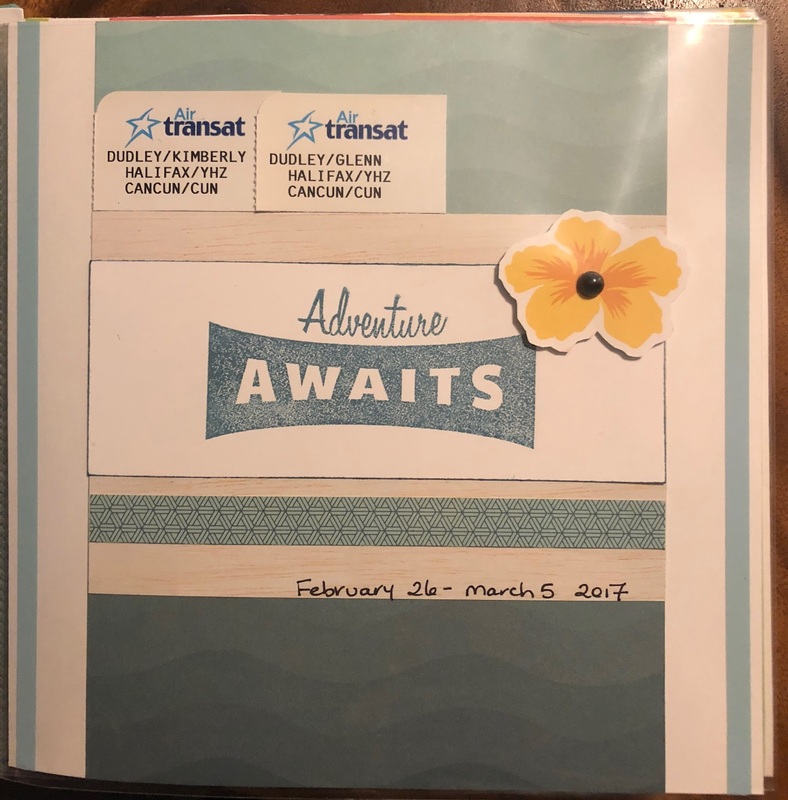 There will be 8 seats available. Thursday night option. During the Month of January attend three Thursday Nights January 4, 11, and 18 (with the 25th being a storm date). 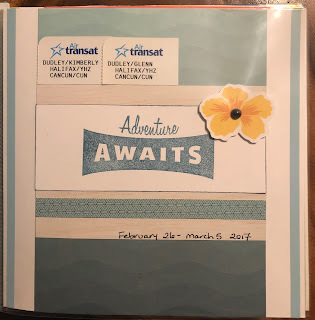 8 Seats available. Times will be 6:30 to 9:00 approx. Kit Cost is $50.00 plus shipping and tax. 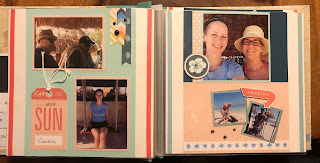 Everything you see in the photos is included in the Kit. 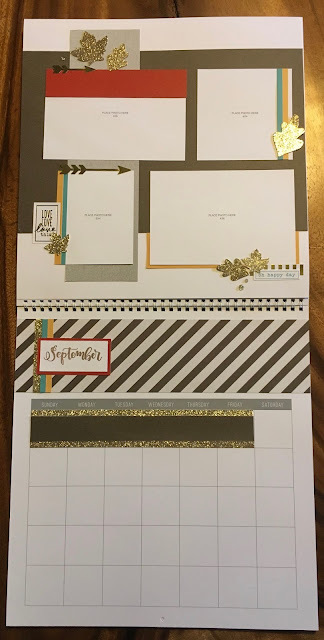 When you order your Kit (only available in December) please let me know which Seminar option you would like to attend. 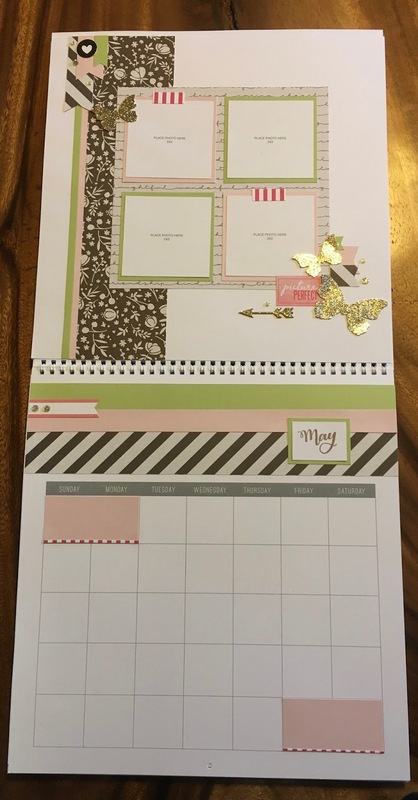 This month we are using Urban paper. 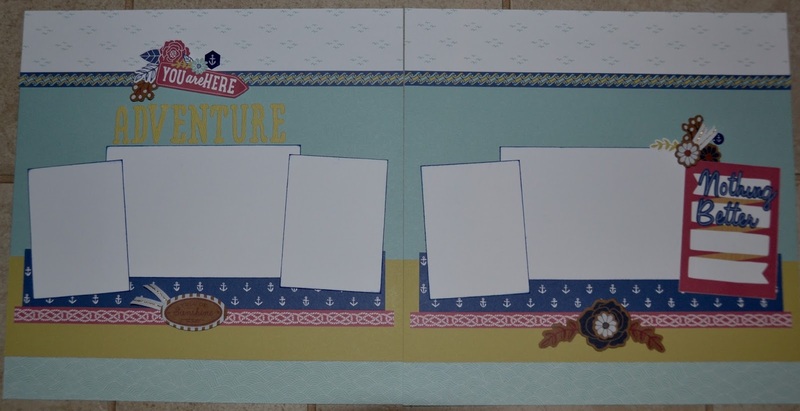 We will make the two double page spreads. 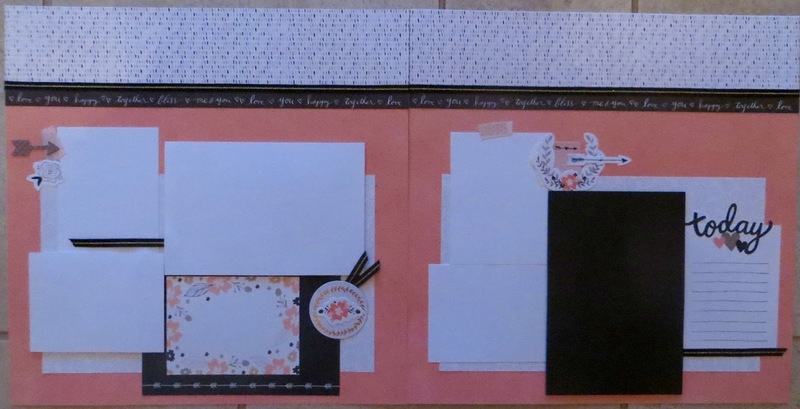 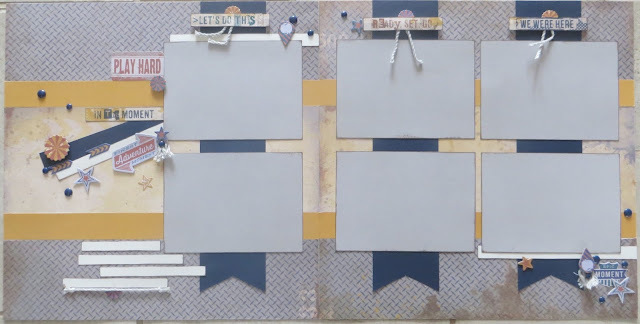 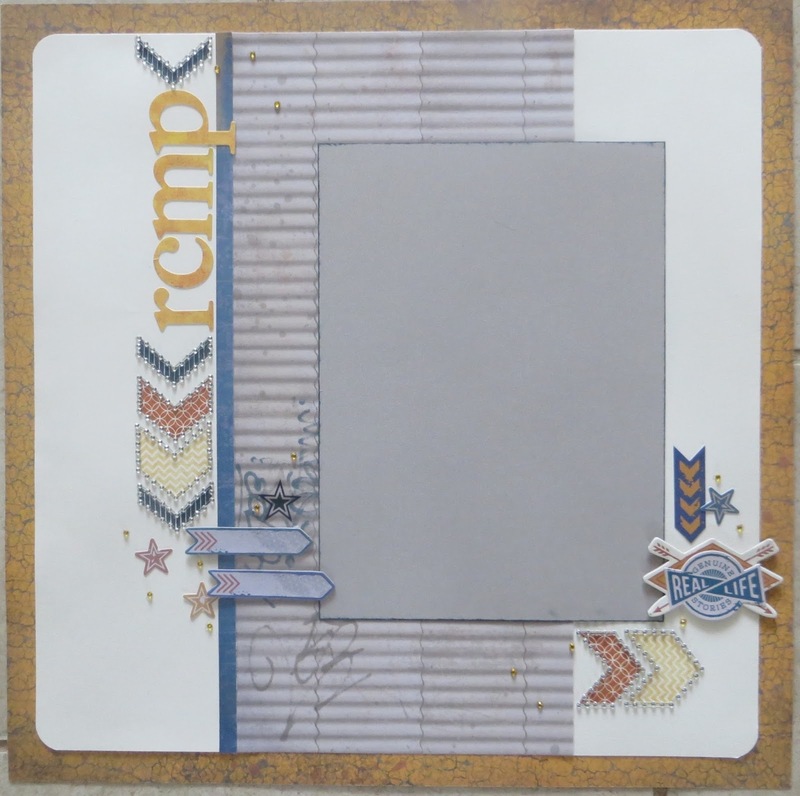 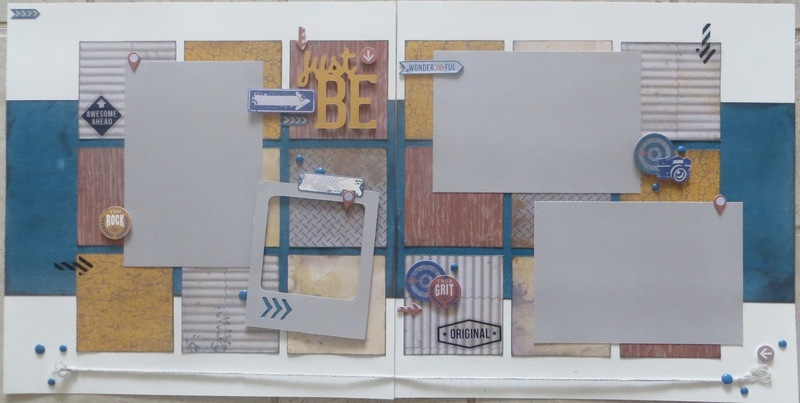 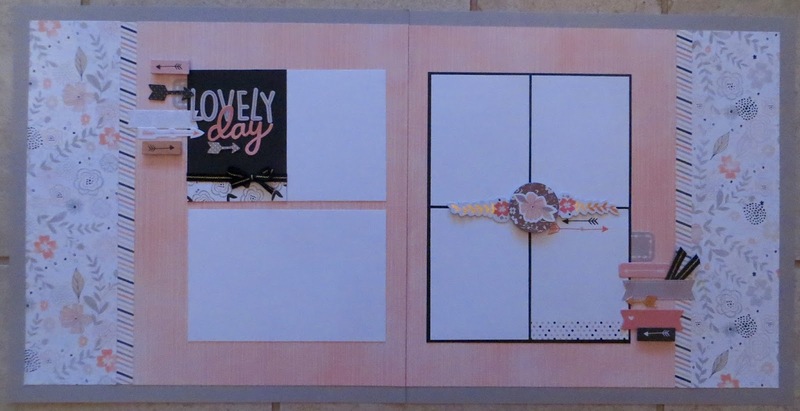 I have also made two single pages with the scraps, which we can make if there is time - but there are a few items that would not be included in the kits (stickers & sparkles). Thursday March 3 and 10 are the dates. 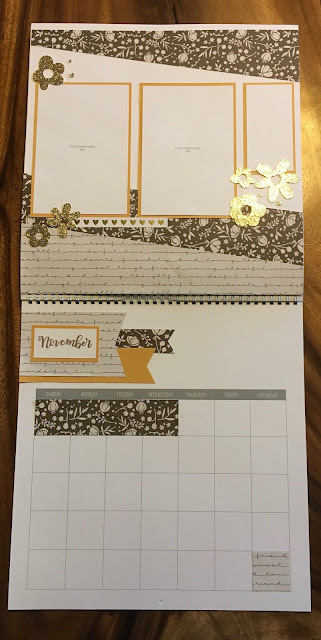 Last Month ladies. 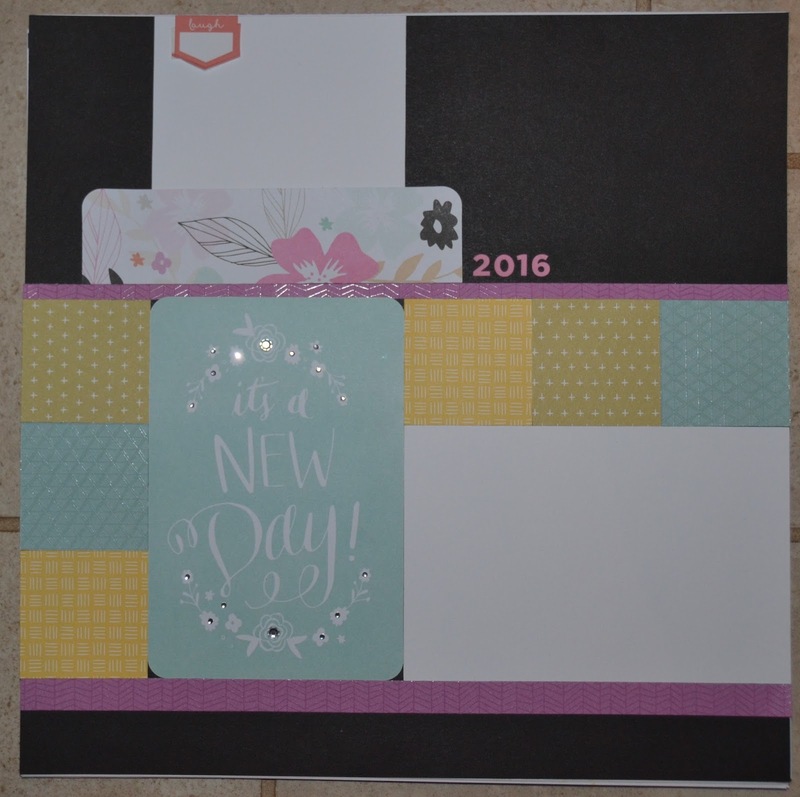 This will be a Friday night and All Day Saturday Class - it will be April 22 / 23 2016. 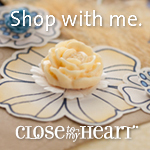 There will be only 8 spots available. 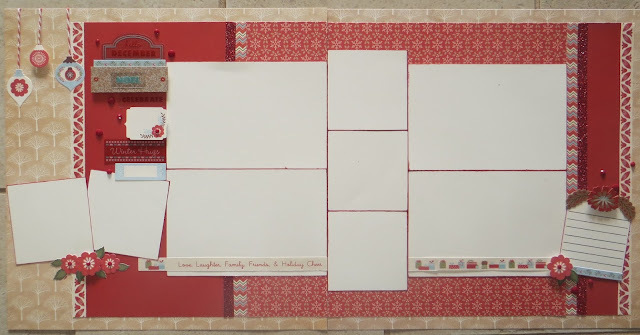 Cost is $85.00 and you will have quite a bit of supplies left over ! 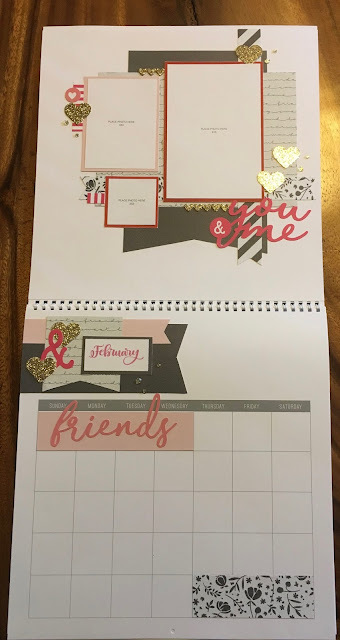 I still have to add a few sparkles to my project. 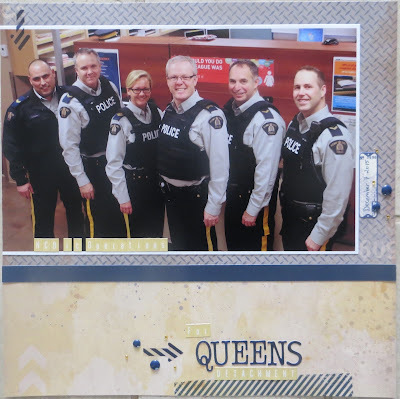 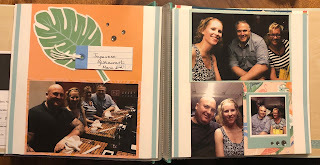 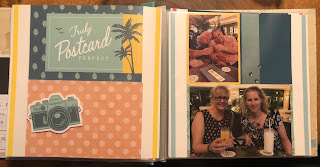 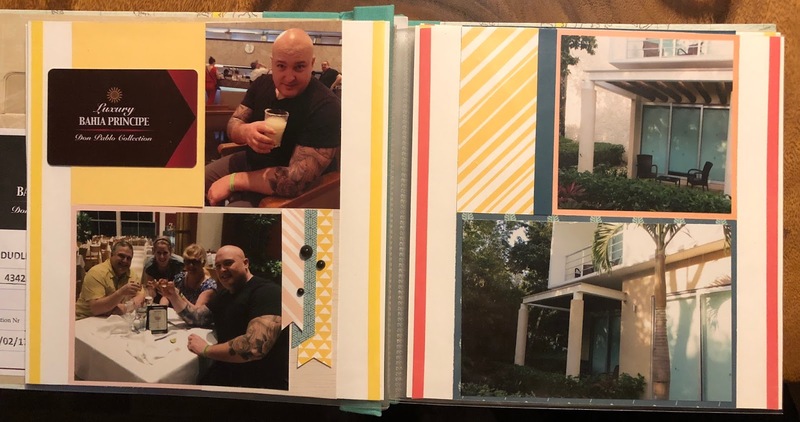 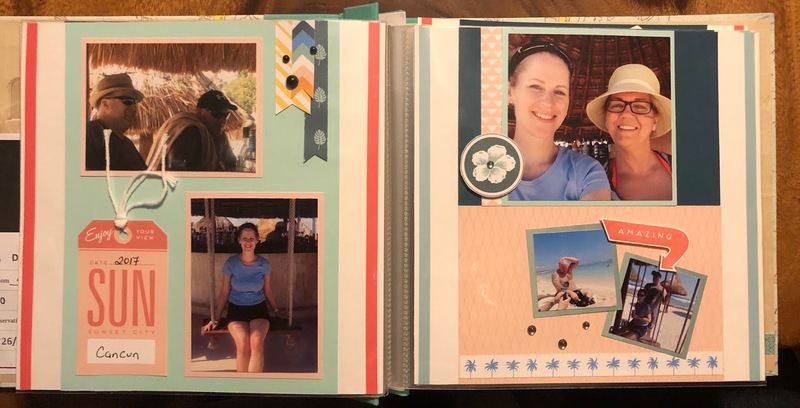 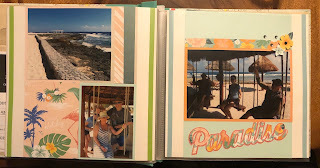 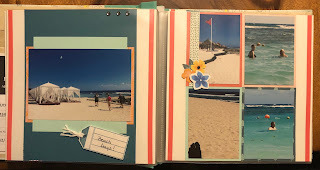 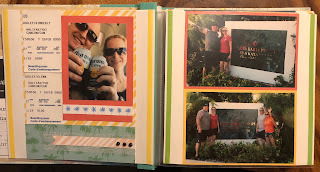 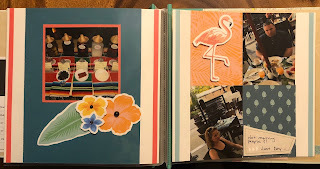 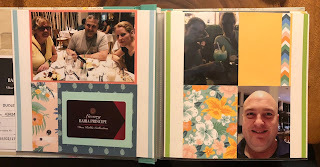 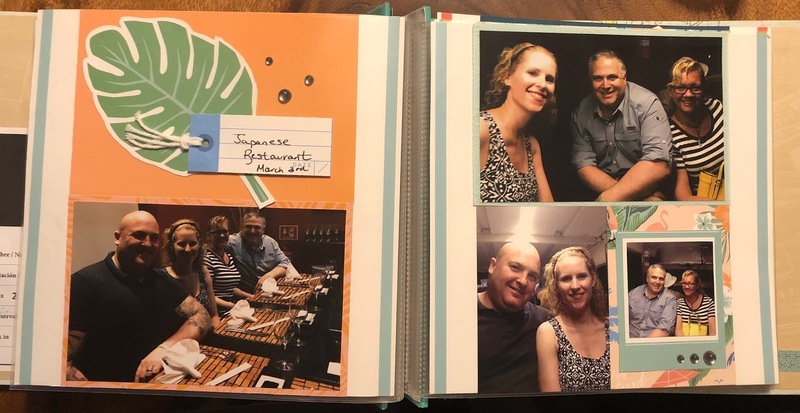 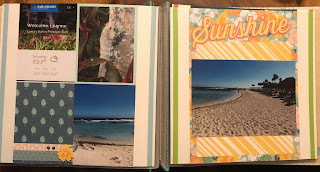 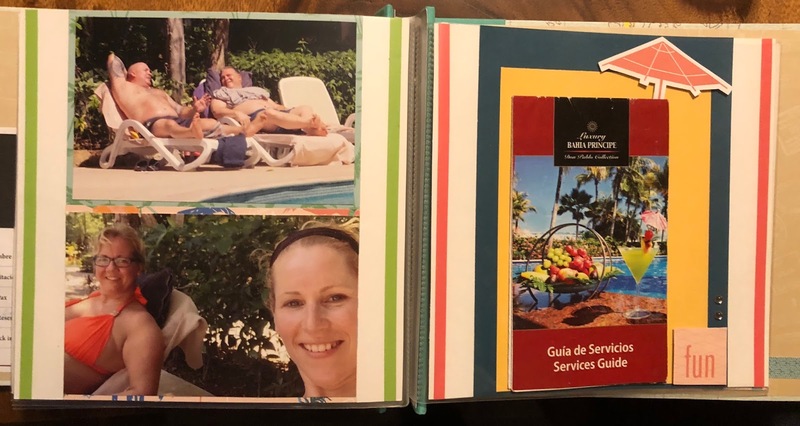 Each page has at least one 4 x 6 photo so that you can add flip flaps if you wish. The journal cards are interactive and pull out for hidden journal. I plan to capture my year and if you sign up you can bring photos for Jan - April to have your year started also! 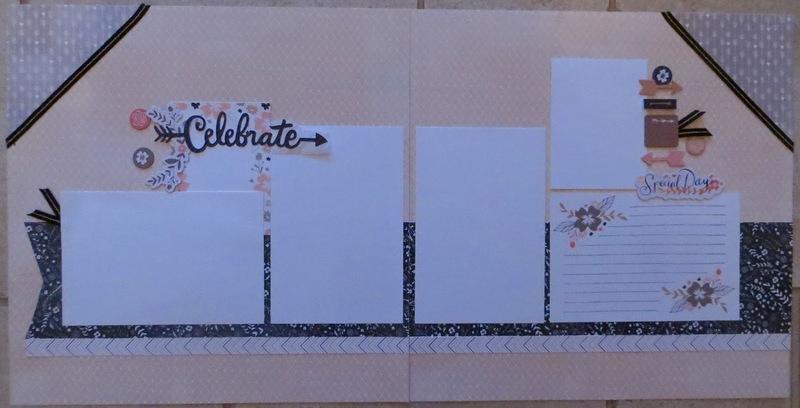 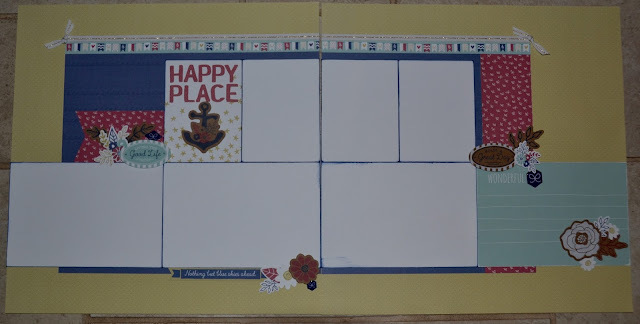 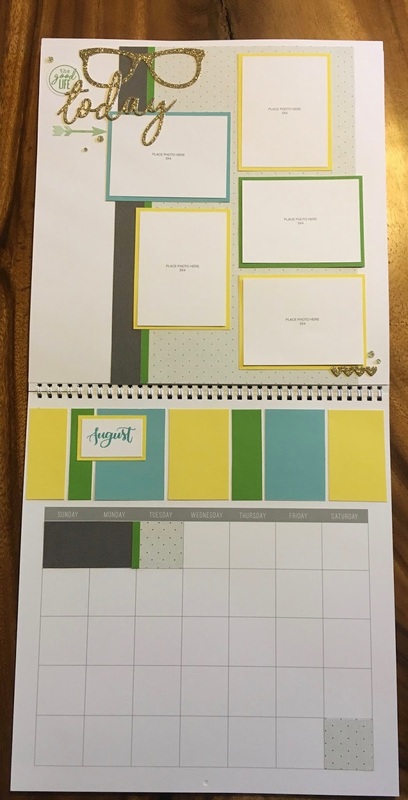 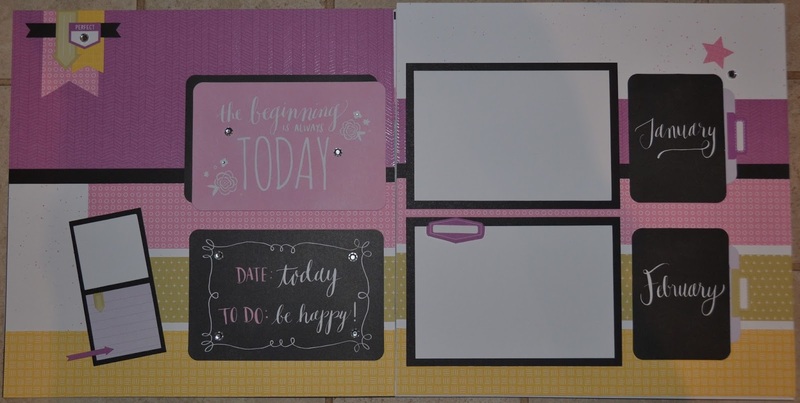 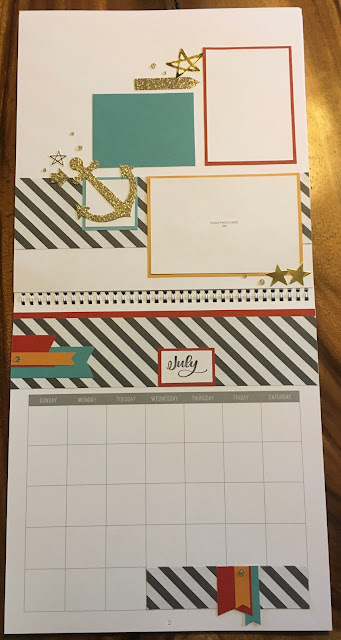 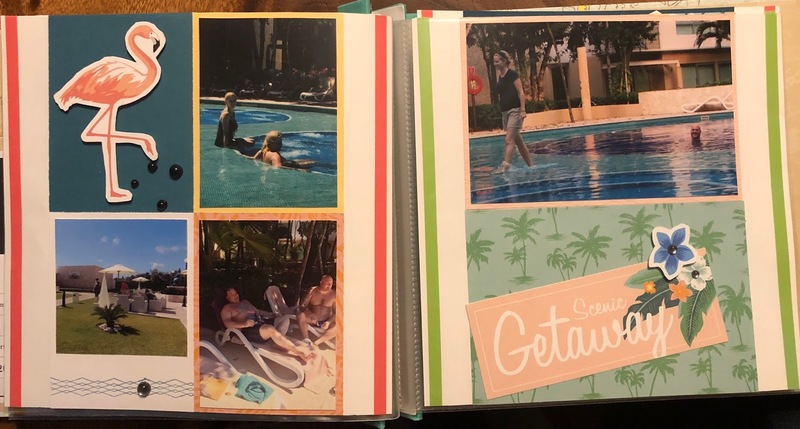 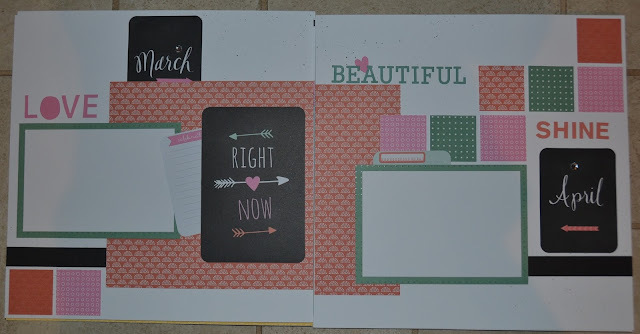 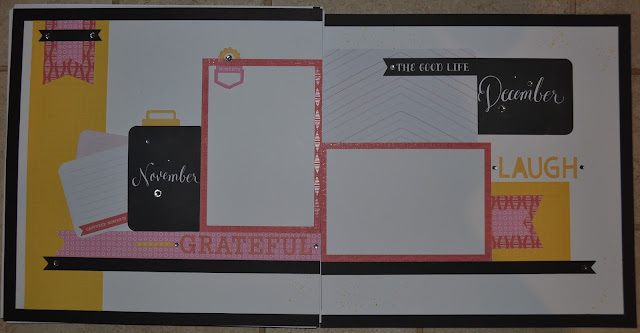 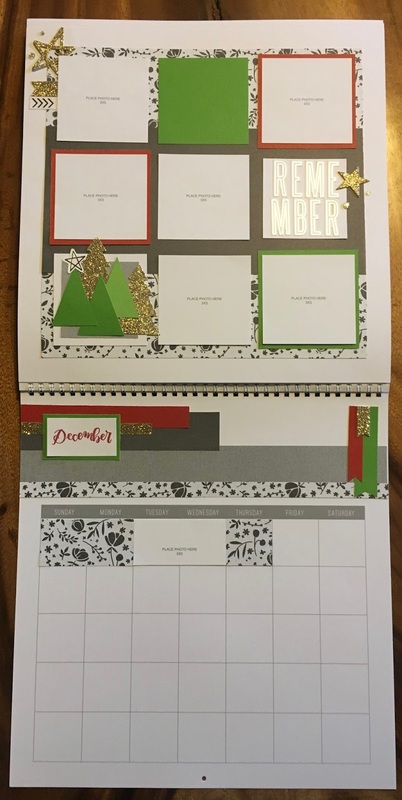 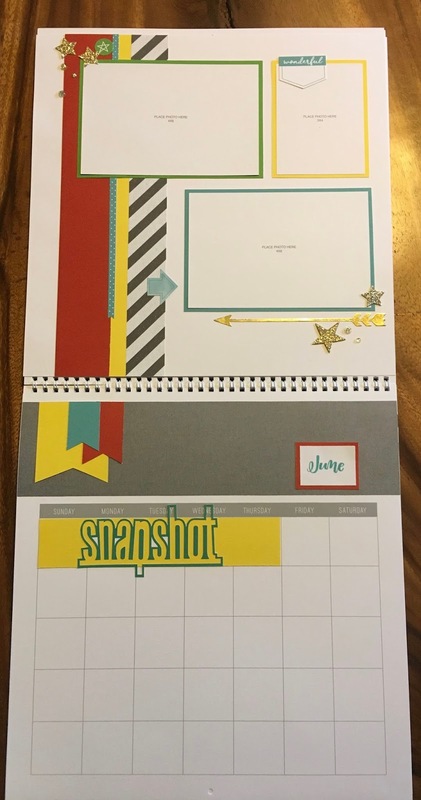 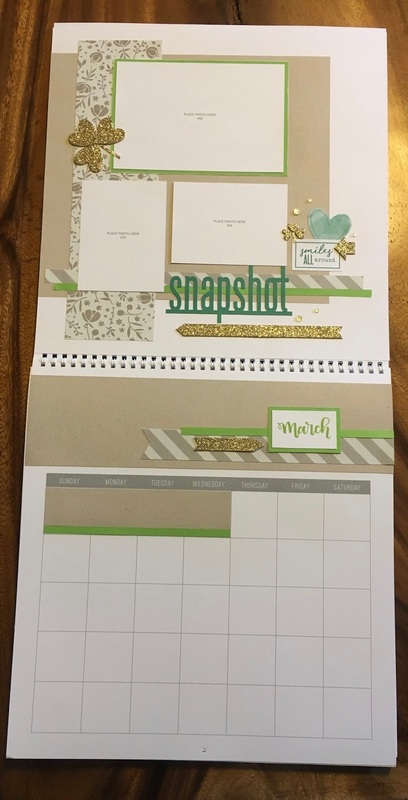 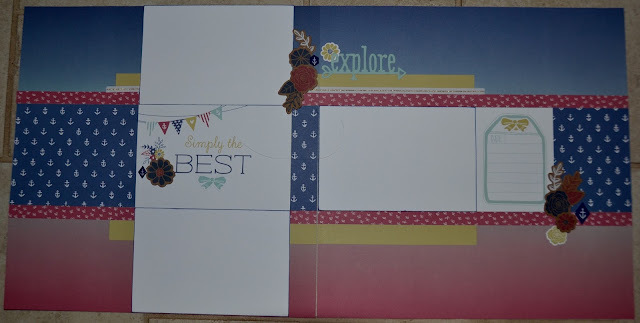 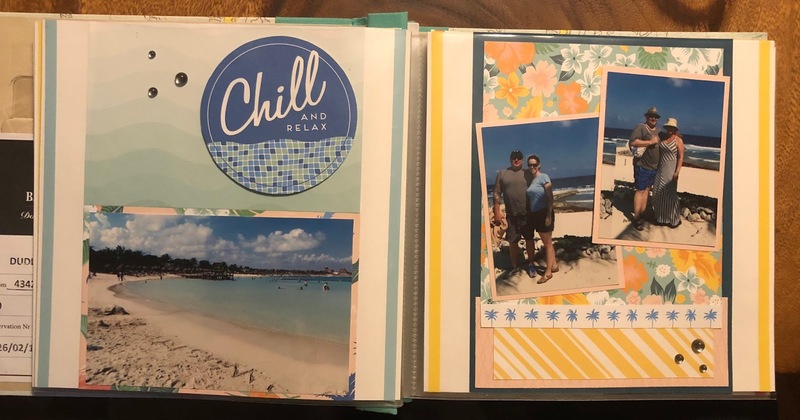 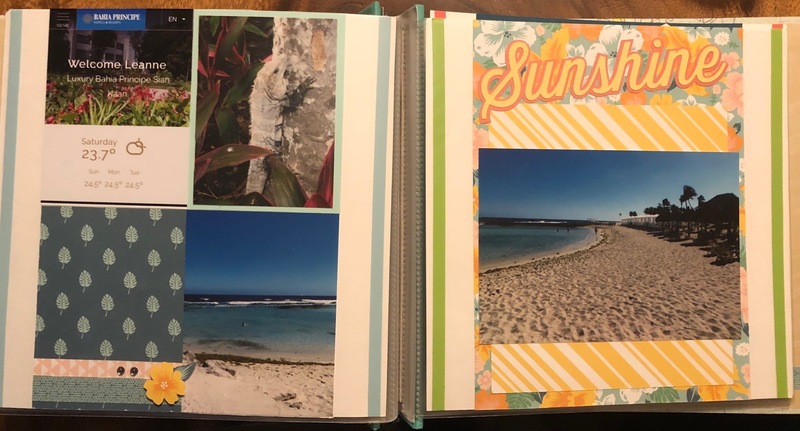 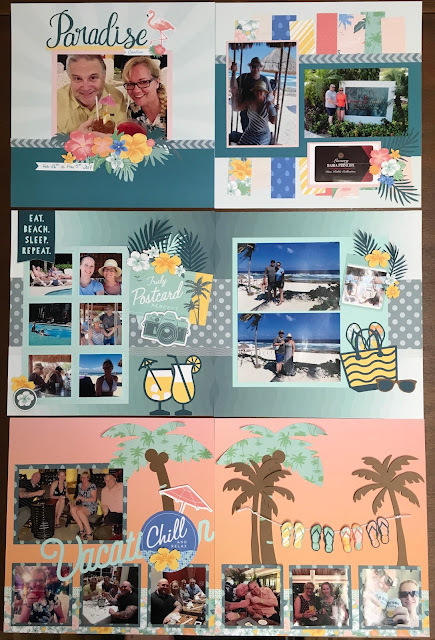 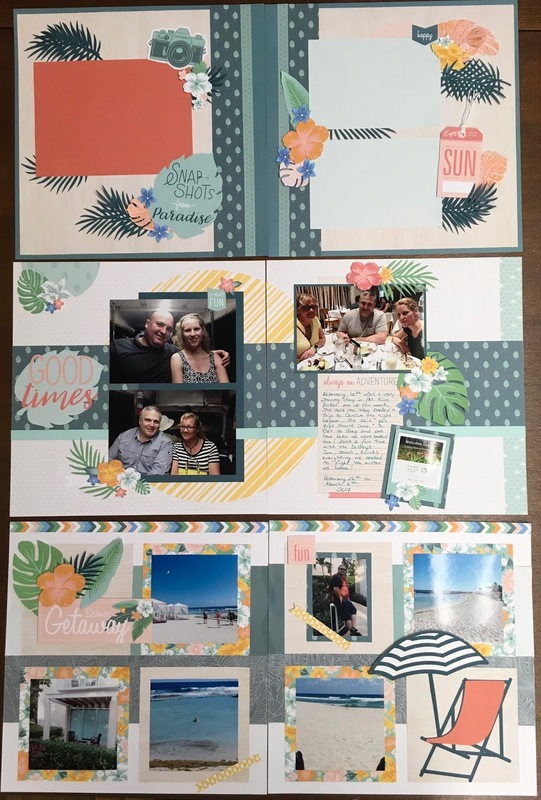 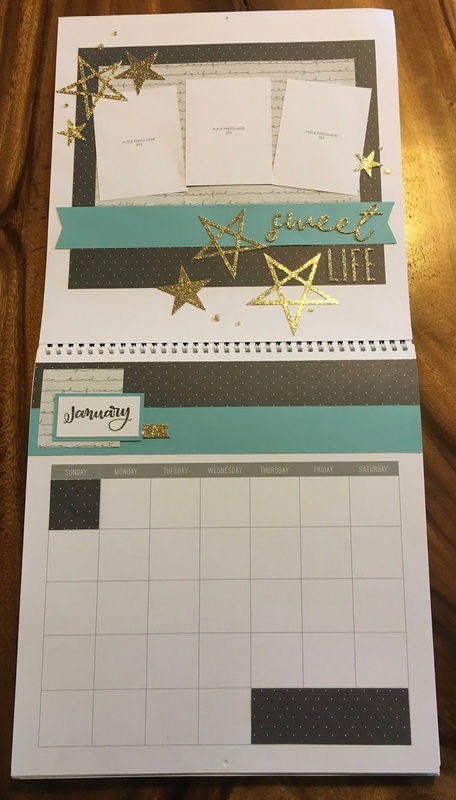 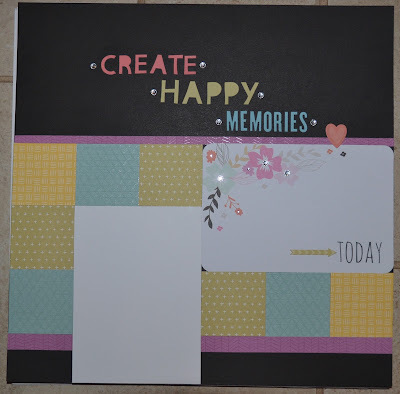 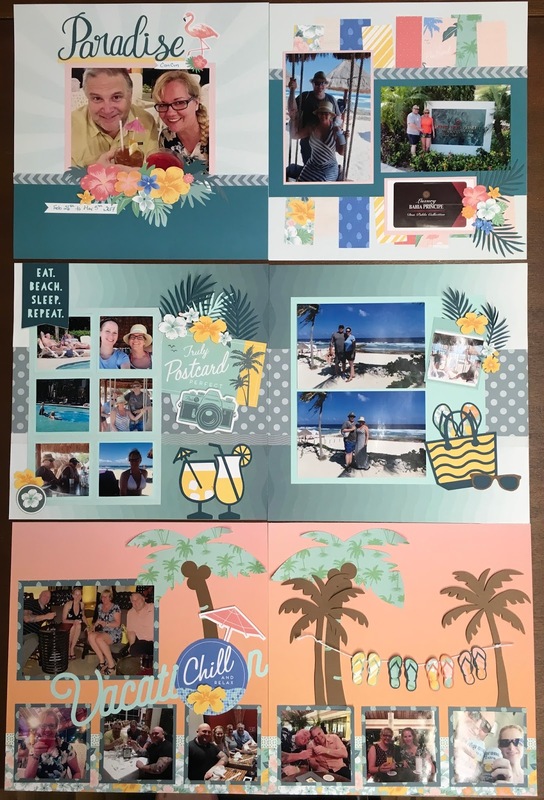 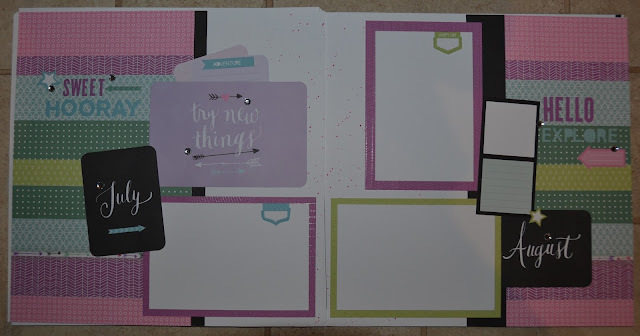 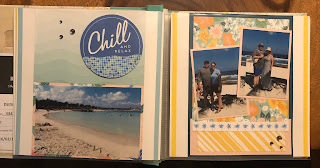 You will have PL cards left over too so if you want to use these pages along with more pocket pages you'll have lots of cards, paper and embellishments to do your whole year ! 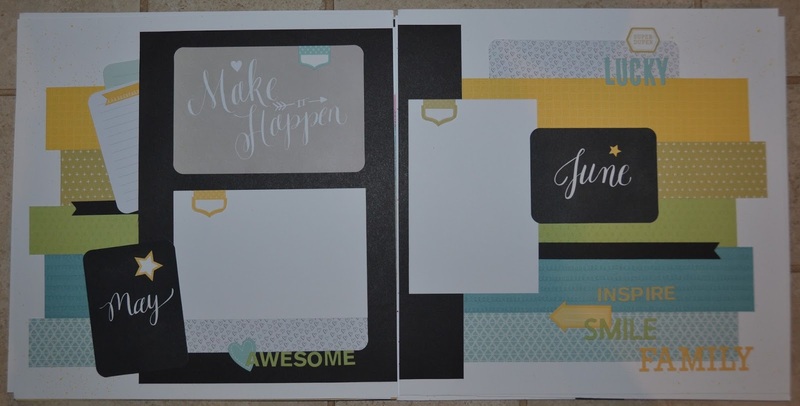 It also comes with a sheet of three colored alphabets that match for your own custom titles also ... make it your own! It may be one of my favourite classes yet. 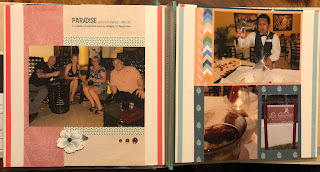 You really have to see them in person, the photos don't do them justice. 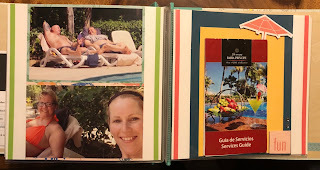 If you want to reserve your seat - send me an e-mail! 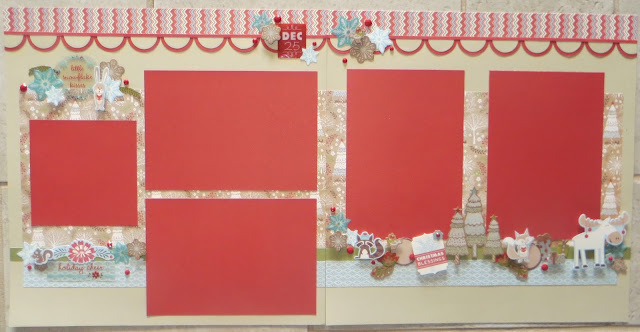 December club is Thursday Dec 3 and 10, at 6:30. 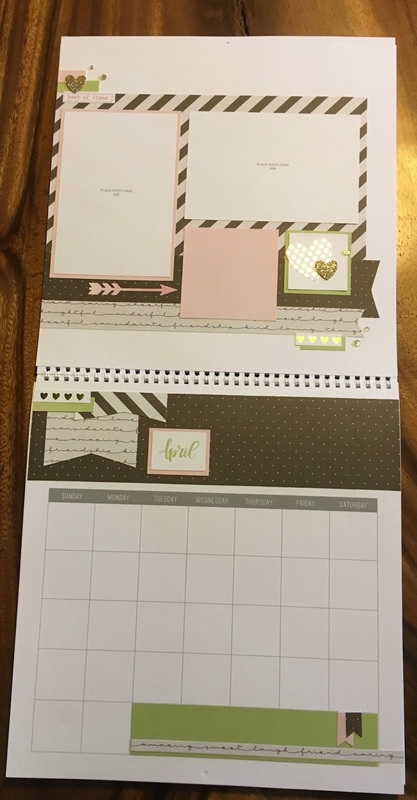 CROP date to be announced. 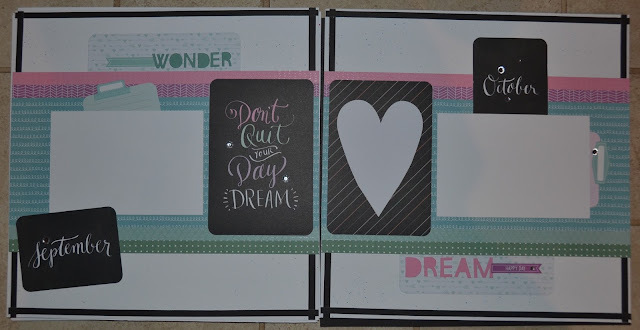 I will do an extra Wednesday group on the 2 and 9 if there is interest. There are 8 seats available - cost is $35.00 for supplies and an order of $25.00. Date to sign up by is this Wednesday - November 18 so I can order supplies. 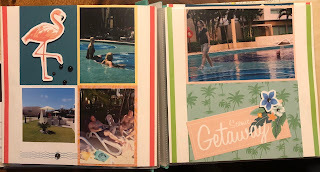 It's hard to see in the photos but there is lots of dimension in the pages - they are awesome!